Silence Followed By A Deafening Roar Guitar Instructional DVD contains 2 hours of personal guitar and live perfomances from the world’s most insane shred guitarist Paul Gilbert. On this DVD Gilbert breaks down his toughest riffs, step by step and shows you his tricks and even some of his secrets! A must-have for fans and guitar players all around the globe. 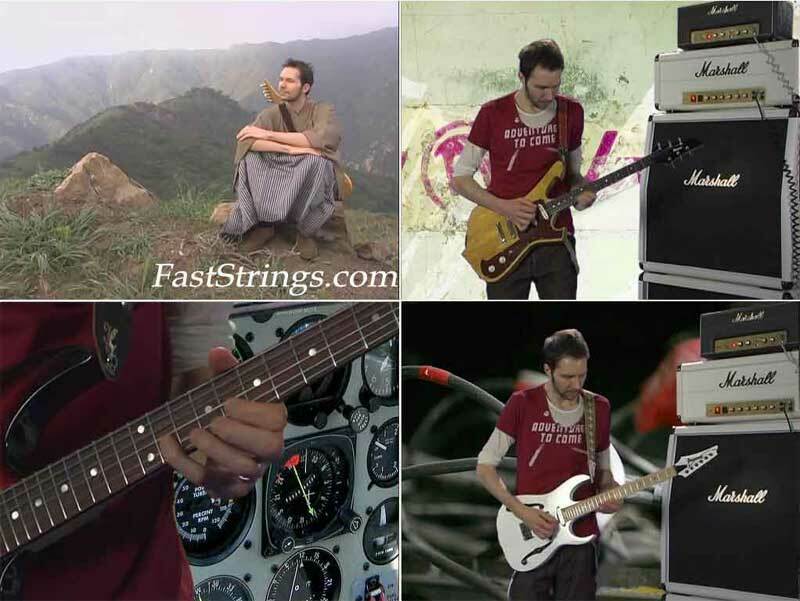 Legendary guitarist Paul Gilbert takes viewers on a musical journey through the process of creating his “Silence Followed by a Deafening Roar” album and also offers instructional guitar-playing tips in this enlightening program. Known for his dynamic speed and versatility, Gilbert was dubbed one of the “Top 10 Shredders of All Time” by Guitar One Magazine. A special segment features Gilbert’s remarkable shredding talents. Also includes rare concert footage, complete backing tracks and downloadable tablature. As a member of both the ’80s premier Guitar band Racer X and later, million sellers Mr. Big, Gilbert has gained reputation as being one of the most melodic, but powerful Guitar players in the rock arena. Determined not to be pigeon-holed as just a ‘shredder’, Gilbert’s solo work has allowed him the opportunity to exercise his deep appreciation for the more song orientated side of rock music. Paul has been releasing many successful solo albums in the past years which confirmed his position as one of the premier rock Guitar players in the World. As a musical experiment, he decided to confront his cynicism about instrumental Guitar music by making a whole album of the stuff. He called that album ‘Get Out Of My Yard’ and posed as a cantankerous, territorial, old man on the cover. Thanks you so much, amigo!